This book was a surprise. And a pleasant one at that. I expected it to be a book dedicated to debunking any misinformation found in Dan Browns new book "The Lost Symbol". But it's not that at all. The book is carefully researched and contains some illustrations, which makes for a really interesting read all on it's own- even without reading the Dan Brown novel. 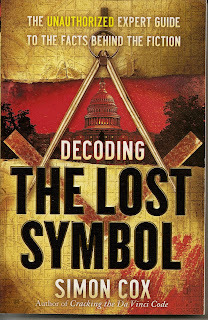 If you have any interest in the history of the Masonic Lodges and the symbolisms contained in our Great Seal of the United States, this book will be of great interest to you as an introduction to those topics. I must stress, again, that the book is NOT a vehicle to debunk anything in Dan Browns new novel. If anything, I think it will enhance the readers experience should they choose to utilize it. A very coherent work by an accomplished Egyptologist.